In this post, I basically followed the Selenium Grid 2 tutorial, and got the Selenium grid working. One thing that worth mentioning is you had better download a standalone Selenium server that will be compatible with you browser version. 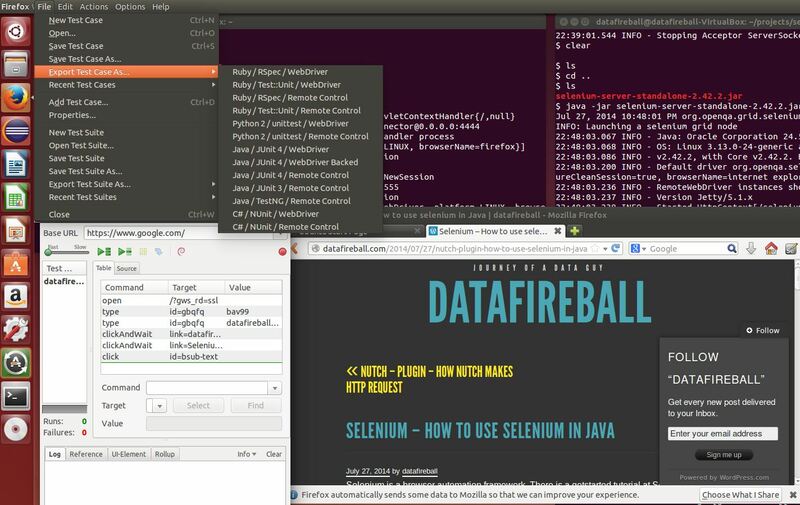 Low hanging fruit might just be going after the latest Selenium build. 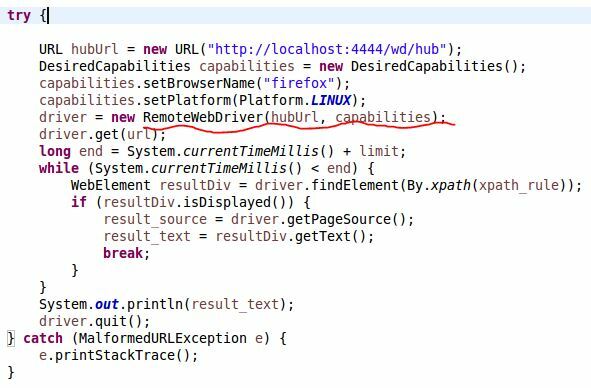 As you can see, instead of do `new Firefoxdriver`, you can just describe your browser capability, and the hub will assign the right resource to you. 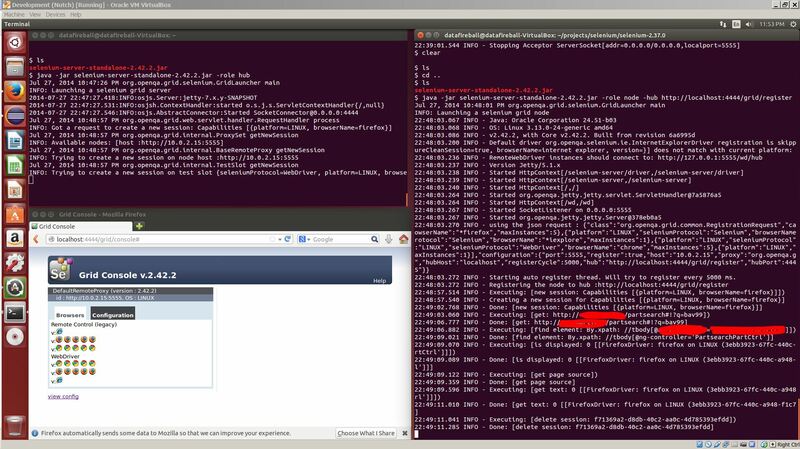 Also, you don’t have to write Java code and there is a great tool called Selenium IDE that will track your activity inside a browser and generate test script based on that recording, and it can the exported to all different types of languages and format. Junit, Python Test ..etc. Here is a video from youtube by Ghafran helped me a lot!